Sportschallenge wouldn't be such a success without our sponsors. 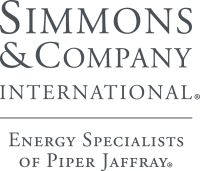 For the 7th consecutive year, we are delighted to welcome back Simmons as platinum sponsor and CNR as gold sponsor. Want to join them? Check out our sponsorship packages. energy industry, was also chairman of Maggie's Aberdeen. Maggie's is a major beneficiary of Sportschallenge. Colin and the firm supported the charity during its 3 year campaign to raise £3 million to build a Maggie's centre in Aberdeen and they continue to do so. Nick Dalgarno, MD and the brain child behind Sportschallenge Aberdeen, now flys the flag on behalf of Simmons. Simmons has been platimum sponsor of Sportschallenge and was fundamental in its inception and ongoing management since 2012. Barry Duncan and the team at CNR International are Sportschallenge ambassadors and this is their sixth season as gold sponsors. Previously, Sportschallenge has benefited four of CNR's nominated charities, Mental Health Aberdeen, Friends of Carronhill, Forget Me Not Club & Grampian MS.
Canadian Natural Resources is one of the largest independent crude oil and natural gas producers in the world. The main fundraising activity on the evening is our Hit or Miss competition, so it's important that the prizes up for grabs are in demand. This year, DnB will be sponsoring one of these rounds so hopefully we will have a full house taking on the challenge! DNB is Norway's largest financial services group and offers a full range of financial services, including loans, savings, advisory services, insurance and pension products for retail and corporate customers. Andy Roger is a long term friend of the firm and having relocated to Loch Lomond, Simmons' relationship with the Resort Manager remains unmoved. Every year Cameron House generously donates a wonderful prize for our Hit or Miss competition. Kick start the evening by treating everyone to a pre-competition tipple with your compliments. Opportunity to display company branding in the welcome drinks area. Logo on event materials. Table of 10. Want your company to stand out from the crowd and have a brilliant night?